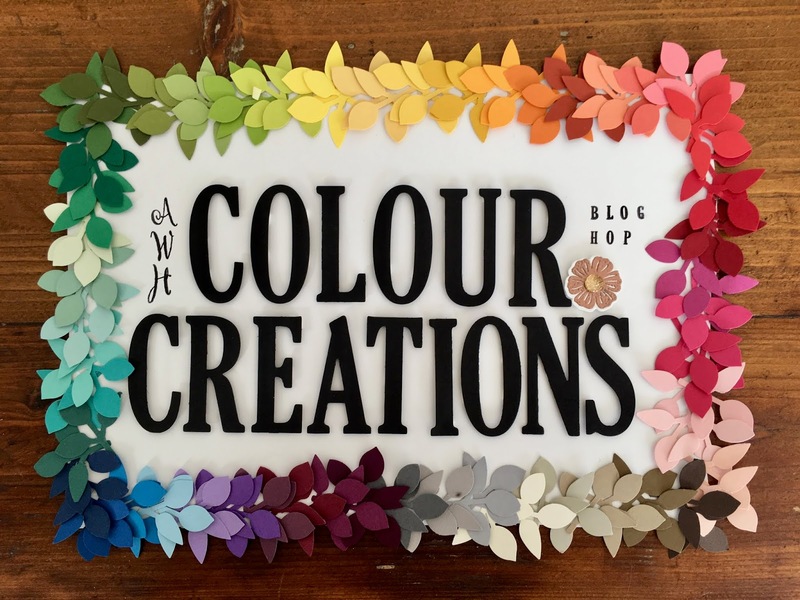 Are we really up to Week 15 of our Art with Heart team's Colour Creations blog hop?! The answer is yes, we are. I cannot believe how fast the weeks are flying by. 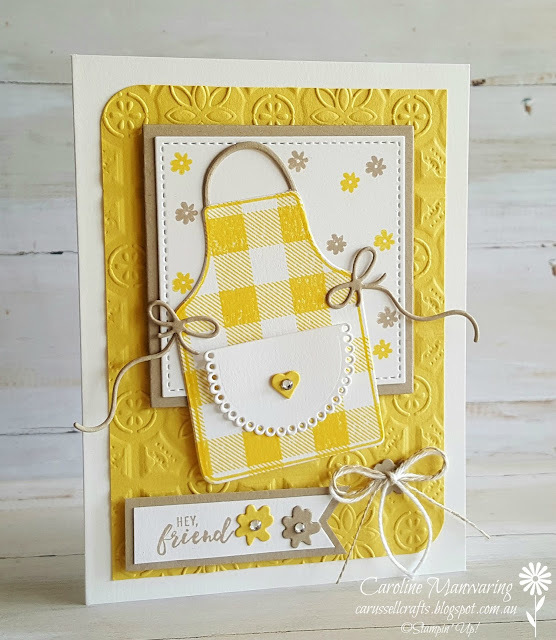 I hope you have been able to join us each week as we showcase another one of our Stampin' Up! colours. 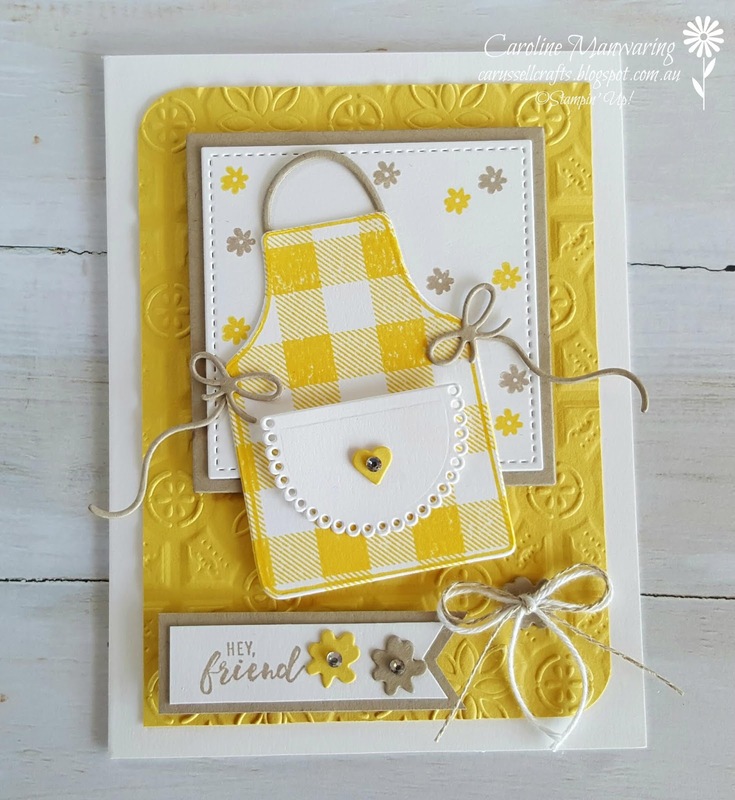 Tonight we're sharing our Daffodil Delight projects. 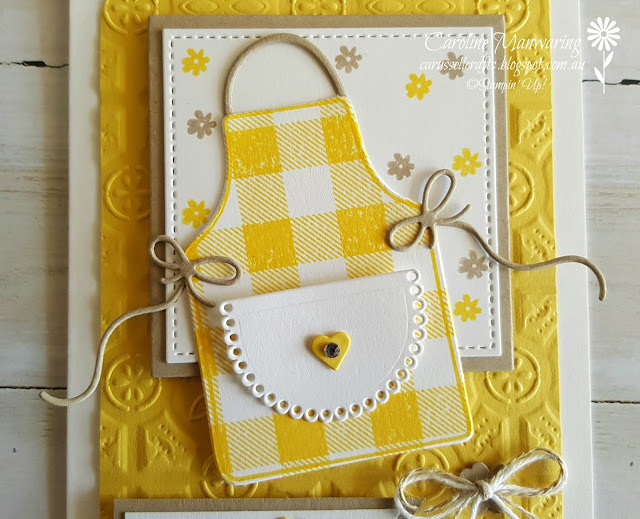 I have been wanting to use the Apron of Love stamp set and coordinating dies on a project for ages, but I couldn't quite get an idea happening, that was until this image came to me for this weeks hop. 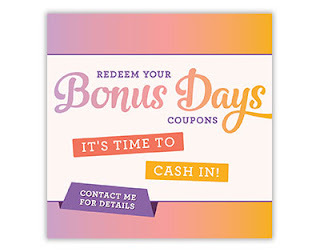 I decided that I'm going to send this card to a friend to remind her to use her Bonus Days coupon codes this month on her orders. It's a good reminder to all of us to use our coupon codes that we received for our qualifying orders in August. You have from now until September 30th to redeem them, so don't miss out. I'm looking forward to using mine! To a Whisper White card base I added a piece of Daffodil Delight cardstock that I embossed with the Tin Tile Dynamic TIEF, this folder is already a favourite of mine. I rounded two opposite corners just for a bit of interest. 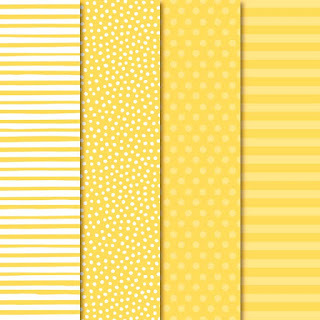 The apron was stamped with the Buffalo Check background stamp, I LOVE gingham, so this won't be the last time you'll see me using it on a project. I decided to use Crumb Cake for the strings on the apron, as well as behind the stitched square and sentiment banner, a couple of the die-cut flowers and stamped flowers and sentiment, which is from the Itty Bitty Greetings stamp set. I think it goes nicely with the Daffodil Delight. Here's a couple of close-up pic's of some of the detail. 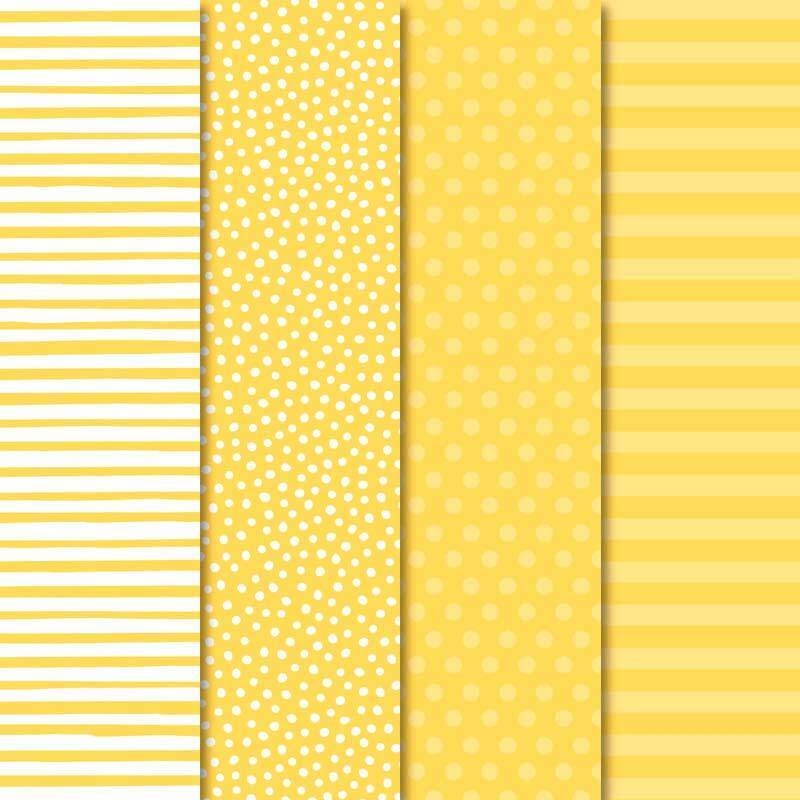 Behind the white bakers twine and linen thread bow is another little Crumb Cake flower. Our basic rhinestones add the perfect little touch of bling! After confessing last week that I'm not a fan of the colour yellow, I think I may have changed my mind just a little, because I really love this soft and pretty shade of our Daffodil Delight. I can't wait to see what the other girls have created for tonight's hop. You can check them all out by using Catherine's blog link below.